This is not enough time to prepare anyone for battle, I trained at least 4 times a week as the thing to remember is the harder you train the easier you fight. If you want to win, you have to train harder and smarter than your opponent. Colleagues who witnessed Mathew’s fight described it as one of the best fights of the evening. Mathew and his opponent fought 3 fast-paced rounds and traded punches for the entire match. At the final bell, the judges came to a split decision, but Mathew’s technical abilities and aggressive/attacking style gave him the edge. 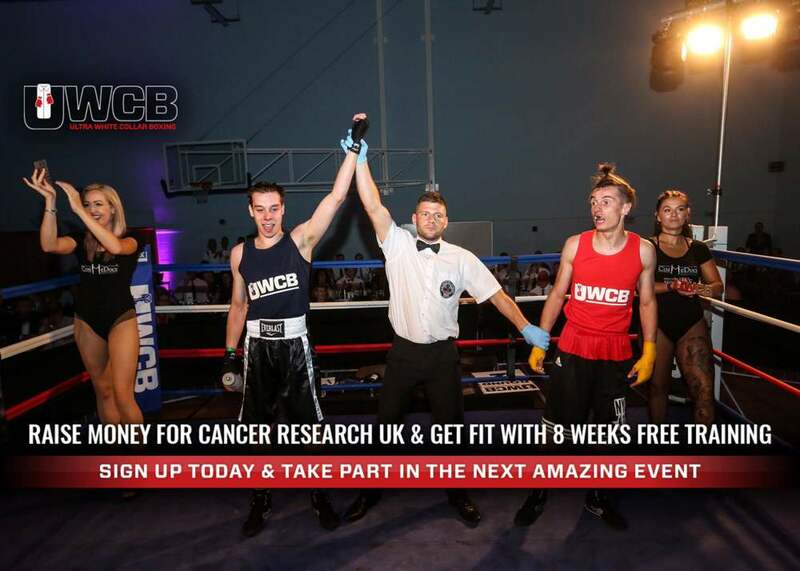 Mathew raised £475 for Cancer Research through donations and ticket sales.